Anemia refers to a level of red blood cells, or hemoglobin, that is lower than the expected healthy range. When this happens, less oxygen is able to be carried to the organs and tissues in the body. Iron deficiency anemia is a form of anemia caused by a lack of iron in the body. The symptoms of iron deficiency anemia can occur very slowly. Most people in the early stages of iron deficiency anemia do not know they have it until they receive their routine blood check. Symptoms can vary from moderate to severe, and in most people not all symptoms are present. There are a variety of different reasons for iron deficiency, but according to the NHS the most common cause is bleeding in the stomach or intestines. Because iron is found in the red blood cells, if blood is lost regularly, the body can become iron deficient. Common reasons for recurrent bleeding include heavy menstrual periods, gastrointestinal bleeding (caused by regular use of NSAIDs), stomach or bowel cancer, and regular nose bleeds. Another main cause is a dietary iron deficiency. If not enough foods containing iron are consumed, then over a prolonged amount of time iron deficiency anemia can occur. Increase your iron intake by eating foods like offal (e.g. liver), red meat, fish and chicken, as well as green leafy vegetables such as spinach. Do not eat offal while pregnant as it may cause a vitamin A overload. Iron from animal sources can be absorbed more easily than iron from plant sources. Vitamin C increases iron uptake. 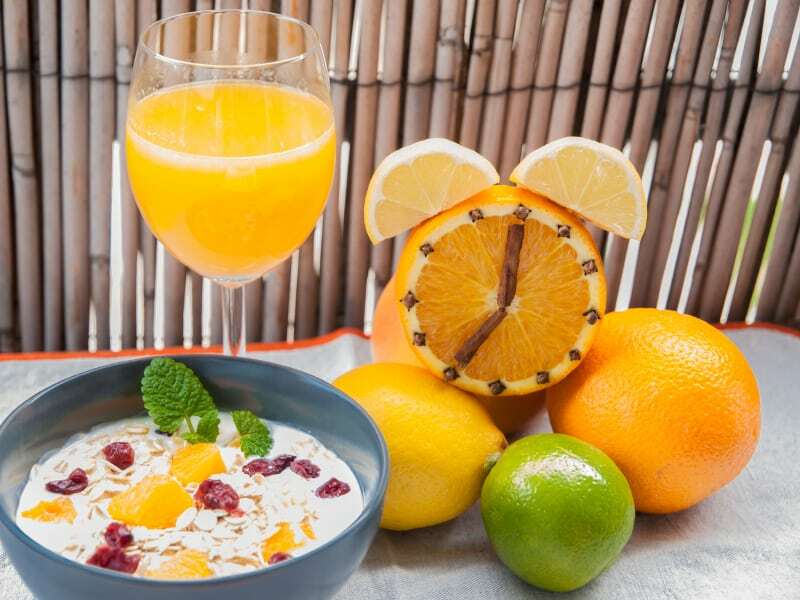 Therefore, add foods with vitamin C (such as tomato salad and orange juice) to make your meals more iron-rich, and try and have citrus fruit for dessert. Lack of vitamin B12 can cause anemia. Hence, in addition to adding iron to your diet plan, increase your intake of foods which contain vitamin B12, such as pork, cheese, eggs and milk. Vegetarians ought to eat plenty of yeast extract or B12-strengthened foods such as cereals. Increase folate intake by adding the following foods to your diet: broccoli, Brussels sprouts, green leafy vegetables, wheat germ, whole grains, fortified breakfast cereal, melon, avocados and egg yolks.